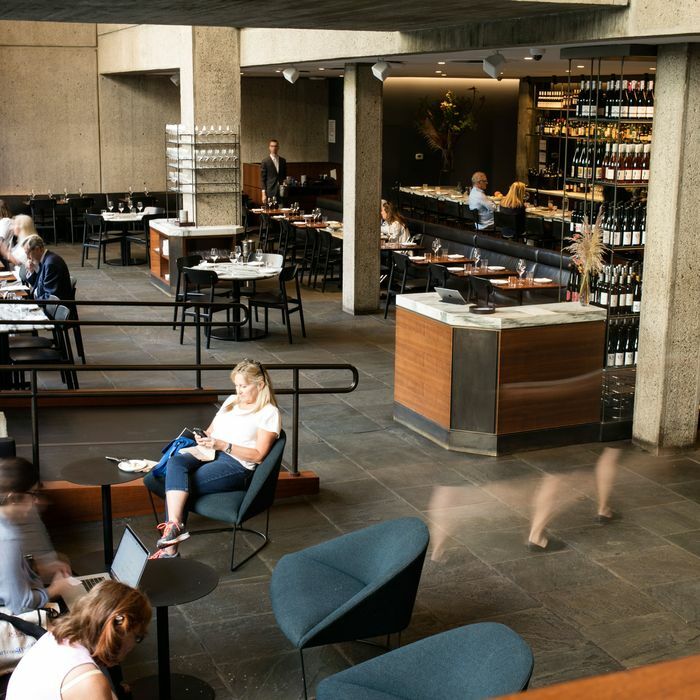 Sure, the location is a little eccentric by local standards (the dining room sits on the semi-bunkered basement level of the Met Breuer museum on Madison Avenue). The decor is a little spare, too (did we mention that it’s in the basement of the Met Breuer? ), and local gourmets will complain that the chef, Ignacio Mattos, is an interloper from the wilder, much more unruly culinary regions further downtown (he operates two popular restaurants below 14th Street). But we’d argue that the mingling of high culture and high cuisine at this unlikely three-star establishment creates the kind of alchemy which is unique not just on the Upper East Side, but to the city as a whole. Throw in Mattos’s refreshingly ingenious brand of high-low cooking (where else on the block can you get your crème fraîche and caviar served with house-frizzled potato chips? ), the elegantly accessible lunchtime service (yes, there’s a Wagyu burger), the exceptional all-day coffee-and-pastry bar, and one of the better brunch menus in this brunch-crazed part of town, and you have the ideal Upper East Side restaurant for this unfussy, post-gourmet age.